This course prepares you for a career in the photographic industry. It creates awareness and understanding in the industry, helps develop knowledge and skills in using a camera to a professional standard, and teaches you the all important communication and business skills needed to be successful in the real world. "Yes, I do learn a lot" ...." I'm absolutely satisfied"..."Because I already run my own business as a photographer, the freedom to handle the course whenever I find the time is just great". Developed by professional photographers to train professional photographers, this course gives you a very sound foundation for a career in the modern photographic industry. This is a rapidly changing industry; and this course is continuously being updated to meet these rapid changes. The certificate consists of six modules. What is covered by the modules in a typical Certificate? Discuss the principles those underpins photography and examine the evolution into digital technologies. Explain how photographic images are able to be captured on film. This lesson will also explain how photographic images are able to be captured by digital cameras. Provide you with a firm understanding of how you can work at improving your capabilities with respect to taking photographs. It provides a framework, upon which you will base your work in future lessons. Explain how photographic film is developed. Describe the process by which photographic film may be enlarged. Also explain techniques that can be used to process digital photographs within a computer to achieve improved or changed images. Work more effectively with light when taking photographs. To identify and avoid common faults in photographs. Compose photographs in a way that matches a predetermined aim. Explain a variety of ways to take better photographs of people. Explain a variety of ways to take better photographs of landscapes or other natural subjects. Differentiate between appropriate use of colour and black and white photography. Create varied visual affects through the use of special techniques. Explain a variety of ways to take better illustrative photographs. Explain a variety of ways to take better photographs for use in print or electronic media. Determine the nature and scope of business opportunities in photography. Describe in technical terms, how an image forms when a photograph is taken. Explain the nature of light and how this relates to the finished photographic product. Describe how sensitivity of a photo sensitive surface and its development affect the photographic image. Explain sensitivity relates to development affect the photographic image. Explain the composition and manipulation of white and coloured light to create different photographic images. Discuss the chemical process that occurs in producing a colour film photograph. Explain how the photographic image may be manipulated by using optical filters or other camera attachments, other than lenses. Explain how the photographic image may be manipulated by using lenses. Explain how technology enables digital images to be captured. 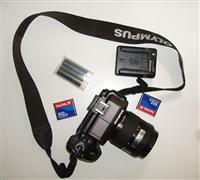 Compare different digital cameras and select an appropriate camera for a particular application. Control the effects created in a digital photograph which you take. Describe techniques which can be used for digitally capturing images from film photographs, or graphics. Explain how digital images can be transferred effectively from a camera (or scanner) onto another device (eg. a computer, video monitor, television set, etc). Describe techniques that can be used to process digital photographs within a computer to achieve improved or changed images. Explain how digital photos can be manipulated and changed to produce altered images. Discuss the scope and nature of special effects that can be created with digital photographs. Identify how and where digital photography can effectively be used. Discuss the scope and nature of lighting as relevant to photography. Describe how different light sources will affect different images in varying ways. Describe how different filters can be used to create different lighting effects. Identify the differences between different types of light meters. Describe the range of equipment which can be used to help achieve more desirable light conditions for photography. Explain contrast and how to compensate for imperfect light conditions. Explain how to use tone to create the desired final image. Distinguish between utilisation of light in a studio and on location.To view detailed outlines of each of the modules click on the modules above, one by one. If you pay in full on enrolment, the fees are discounted. If you pay in 2 parts, the first half of the course is supplied initially; and the second part payment is not made until you have completed the first half (at which time the second half of the course is supplied). If you pay in 4 parts, the first half is still supplied; you are then billed a second payment (due 2 months later). The third payment becomes due when you commence the second half of the certificate.The fourth part is due 2 months after that. According to some authorities, success is actually only affected about 20% by your knowledge and intelligence. to understand new information as it emerges, to see and seize on new opportunities as they reveal themselves, and to continue to grow your abilities within your discipline as you progress through life after study. In a world that is changing faster all the time; it is difficult to even be certain how this industry might change between the start of your course, and the time you finish studying. With this in mind; any course that is to have long term value in today's world, must develop broad generic skills (as above). This approach to education is not unique to ACS, but it is an approach tested, proven and adopted in our courses; and an approach that is also used by some of the most successful, cutting edge universities and colleges around the world. Offices in two time zones (UK and Australia) –which means an international team of academics are responding to students 5 days a week and 16 hours a day. Certificates and diplomas are longer. They teach you more, and our qualifications have built a reputation amongst academics and industry as being a very high standard for this reason. When you have completed an ACS course, you will have not only learnt about the subject, but you will have been prompted to start networking with experts in the discipline and shown how to approach problems that confront you in this field. Register to Study - Go to “It’s Easy to Enrol” box at the top of the page and you can enrol now. Photographic Techniques Explore how to take better photos. This is a book packed full of practical tips, from the authors own experience, coupled with a solid introduction to well established and widely practiced photographic techniques. This is a well illustrated, excellent reference for students of photography; and an equally useful source of inspiration to the amateur photographer. Professional Practice for Consultants Explore becoming a consultant. This ebook contains chapters on how to be a consultant, packaging your services, delivering the services, building your resources, finding the work and getting the job, planning and ethics. Professional Writing Professional writing is any writing that you are being paid for. It can include fiction writing, a best-selling book, articles in a magazine, articles in a newspaper, blogs for companies, technical manuals or procedure manuals, copy for catalogues, newsletters, text books and other academic material and so on. Starting a Business Businesses don't need to fail! This is concise, easy to read, and alerts you to all of the things that commonly make a difference to business success or failure. Seven chapters are: “A Reality Check”, “The Product or service”, “Managing a Business”, “How to Find Customers”, “How to Make a Sale”, “Delivering the Product or Service”, “Pitfalls to Avoid”.